Put yourself in the most optimistic–perhaps bordering on naïve–state of mind that you can. 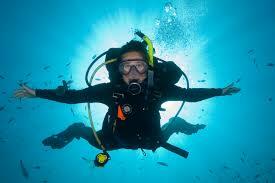 Now imagine that Mobile, Alabama has just become the nation’s premier scuba diving destination. Rising ocean temperatures have spurred the northward migration of coral reefs up from the Caribbean and tourists are flocking to coastal Alabama for the brain coral and barbeque. The above scene might sound ridiculous, but the pole-ward expansion of coral reefs more broadly is currently a hot topic in marine biology. One can point to many reasons why coastal Alabama itself is not well suited to the development of coral reefs (pollution from agricultural runoff being a main factor), but what about higher latitudes in general? New research published in Science this past July looks at exactly what it is that constrains the geographical distribution of coral reefs to their current tropical and subtropical regions. Marine biologist Paul Muir and his colleagues mapped the depth and latitudinal distribution of staghorn corals (image on right) at multiple locations all around the world in order to determine what factors determine their global range. Staghorn corals come in many different shapes and sizes which creates, according to the authors, “by far the greatest variety among corals of microhabitats for fishes and invertebrates”. 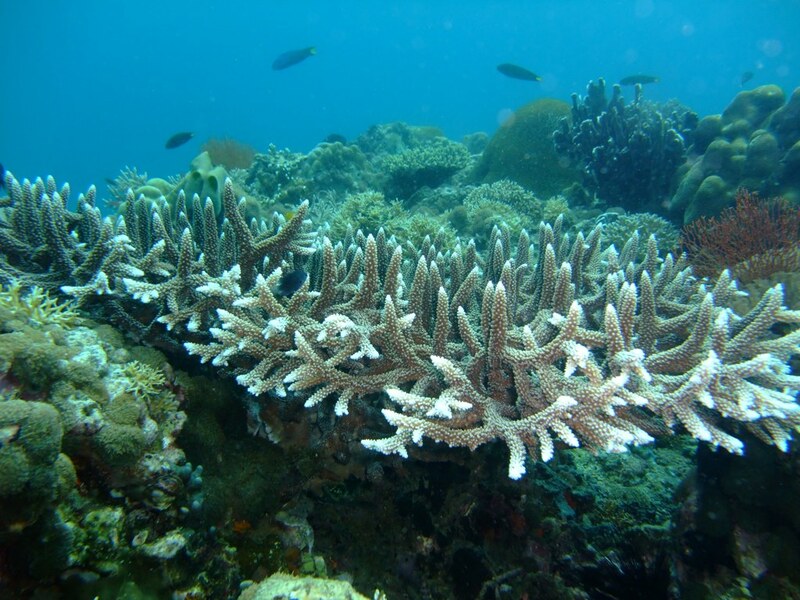 Rising sea surface temperatures are causing these corals to die off in very large numbers as a result of coral bleaching and disease, so determining whether or not they will be able to escape warmer waters by expanding poleward is a vital question. The main factors needed to create suitable habitat for coral formation include the appropriate levels of salinity, sunlight, water temperature, and “saturation of aragonite” which basically means having the appropriate concentrations of dissolved calcium and carbonate in seawater. 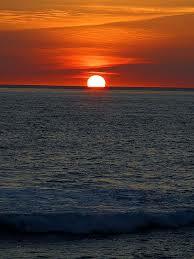 All of these factors, with the exception of sunlight, are predicted to change with climate change. We know that sea surface temperatures are getting warmer at higher latitudes, so the warmth barrier is quickly disappearing. However, the amount of sunlight reaching various points on the globe is a relatively fixed phenomenon and is not predicted to change. More specifically, Muir’s team found that the constraining factor is “the winter irradiance regime” at higher latitudes. Essentially, there is not enough winter sunlight penetrating the ocean’s surface during winter months to support staghorn coral’s basic metabolic processes year round. Winter light at higher latitudes hits the ocean’s surface at a lower angle, which results in a smaller fraction of light penetrating the surface. Light that does penetrate the surface has to travel further to reach objects underwater–think Pythagorean theorem–so it is lost more quickly at greater depths. Therefore, even in future scenarios where sea water stays warm enough at higher latitudes, there will still be a light deficiency due to the angle that sunlight hits the ocean’s surface. The angle of the sun’s rays will not change in this context because it is a function of the Earth’s axial tilt with relevance to the sun, something that changes on a much larger timescale. But don’t give up just yet Mobile! Staghorn corals are an extremely diverse group of organisms, and Muir’s team has seen morphological differences between species accustomed to lower light and higher light conditions. Perhaps a staghorn species will evolve that can handle Alabama’s warm, but poorly lit waters? Indeed it is an ecological inevitability that something will fill the niche, but questions remain as to whether or not it will be something worth going snorkeling for.